Losing hair from the top of your head is one of the worst things that can happen to men. You can ignore the fact that you are getting bold, but losing your hair might be a sign of a big problem, you should see a doctor to find out more on the nature of the hair loss that makes most men worried or even depressed. There is a solution! Balding is no longer a sign of getting aged. You can see young adults getting bald in their early twenties. Some people accept baldness and some women like baldies too – it is in fashion and you do not have to use a comb. Read about treatment options in Hungary. We provide valuable information for those who want quality treatment at affordable prices. Most people attach more importance to hairdo and they try to slow down the process which is said to be genetically encoded and not much can be done to prevent people from going bald. The process can be changed and slowed down…. What are the popular hair transplant destinations in Europe? People choose Turkey and Poland the most – but our recommendation is Hungary. This country has traditional ties with UK and Ireland in dental implants and dental holidays – a current hot spot for medical tourism. 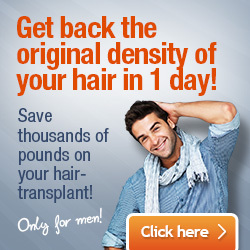 Need hair transplant surgery abroad? Hungary is your prime choice for an informed decision! Some people take some drugs or apply external tonic to make the hair grow. In most cases you have to put up with the sad fact that growing bald is inevitable. What most people can do to look better and regain the old hairdo on their head tops is getting their existing hair transplanted to make a balance on the scalp and get a more advantageous look and regain self-esteem. This process is a modern and safe way of growing new hair on the scalp. Some sources refer to it as implantation as the procedure is very much like that – it means pieces from the side or back part of your head are implanted into your scalp to make it look more natural. Solution to male pattern baldess is a surgical technique called FUE or Follicular Unit Extraction when individual’s hair moved from part of the body to the other part (head top). FUE gives very natural results. The advantage over strip harvesting is that F.U.E . harvesting negates the need for large areas of scalp tissue to be harvested, so there is no linear incision on the back of the head and it doesn’t leave a linear scar. 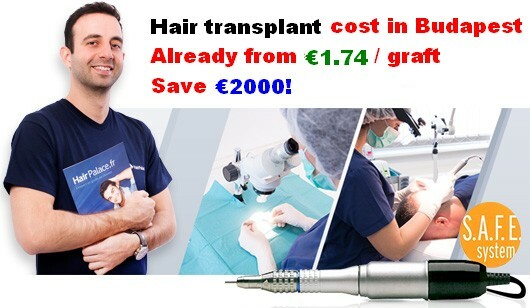 Choose Hungary for your hair surgery procedure as you can save a lot and get quality treatment at an affordable price. Budapest has some really well known plastic surgery clinics and patients can save 60% of the hair transplantation costs performed abroad. Polite and friendly staff looks after all your needs. Going abroad for hair transplant is not a problem at all. Accommodation. transfer will be managed by experienced and trained clinic team. Ask for a treatment plan with a free consultation option near the palce you live in the UK or Ireland! And get ready for the wonder that should take place in Budapest! Another service we recommend is full mouth dental implants – read our article on how you can save 70% on implant-supported dentures. How much is hair transplant?